The spectacle will play out on opposite ends of a 300-meter bridge connecting Venezuela with Colombia to the west. That span, called the Tienditas bridge, is one of the conduits that opposition leader and self-declared interim president Juan Guaido wants to use to bring in humanitarian assistance to his economically crippled country. The bridge is now blocked with freight containers left there by the military, with President Nicolas Maduro refusing to let aid in and arguing it would be the first step toward a foreign invasion. The opposition charity concert organized by British billionaire Richard Branson -- called "Venezuela Aid Live" will be held in the Colombian border town of Cucuta. The stated goal is to raise $100 million in donations. Big stars from the Spanish-speaking world are scheduled to perform, and the presidents of Colombia, Chile and Paraguay have said they will attend. The government has not said who will perform on the Venezuela end of the bridge. That concert's slogan is "Hands Off Venezuela." "All the artists that are going to sing in Colombia must know that they are committing a crime. 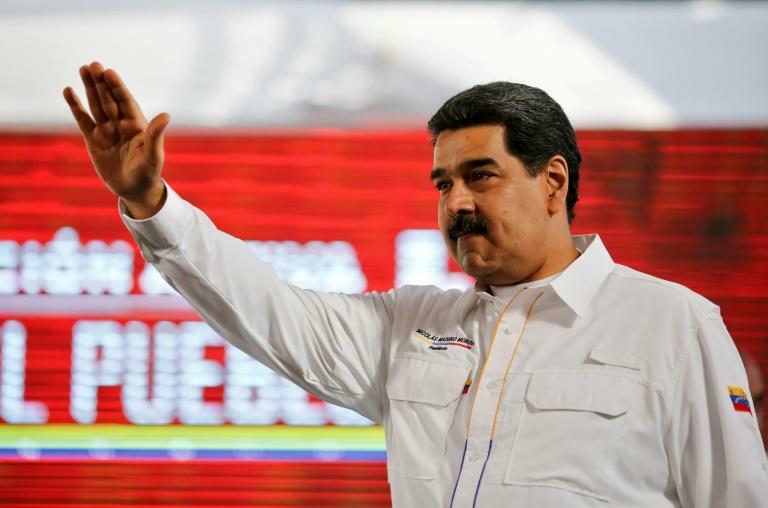 They are endorsing a military intervention," said Maduro. On Thursday he ordered the closure of Venezuela's border with Brazil -- one of the main potential avenues for aid delivery -- as part of the power struggle with Guaido over bringing in aid. Maduro said he was considering closing the border with Colombia, too. Guaido meanwhile was traveling in a convoy of vehicles to personally pick up US aid being stockpiled on the Colombian border, defying Maduro's military to stop him. Recognized as interim president by more than 50 countries, he left the capital Caracas in a convoy of vehicles with tinted windows for the 900-kilometer (560-mile) trip. 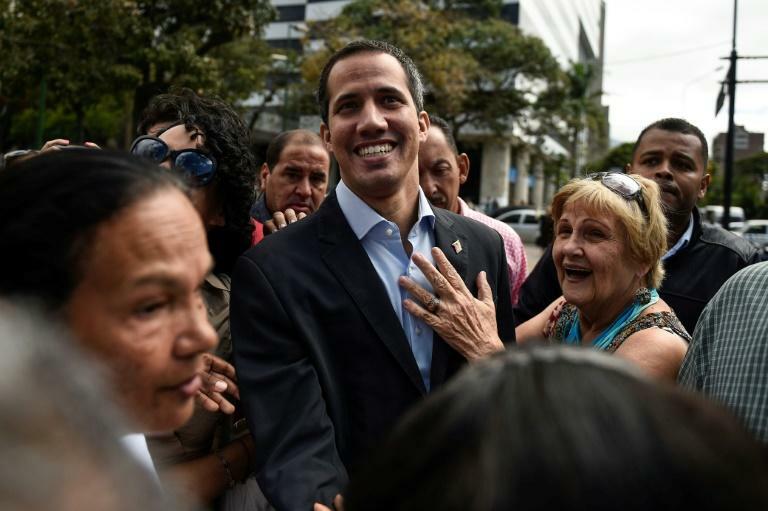 Maria Teresa Belandria, Guaido's designated ambassador in Brazil, said 100 tons of food, medicine and emergency kits were waiting to be trucked from Boa Vista to Pacaraima on the Venezuelan border. The opposition says teams of volunteers will spread out to bring aid in through states bordering Colombia and Brazil and from the city of Falcon in the north which looks out to Curazao. 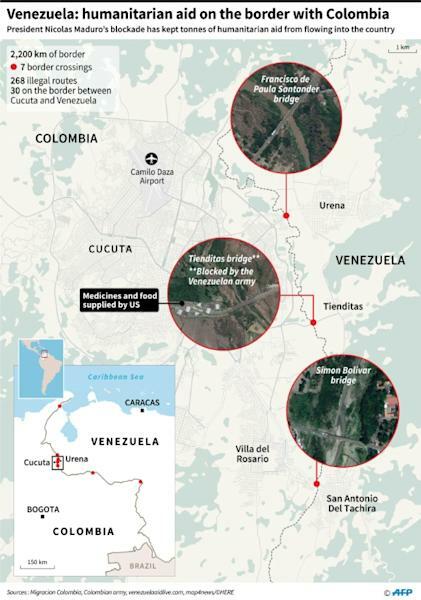 Colombian police say there are some 30 clandestine border crossings into Venezuela. The White House said Vice-President Mike Pence would visit neighboring Colombia on Monday in a show of support for Guaido. The US has repeatedly said "all options," including military, are on the table. But Brazilian Vice President Hamilton Mourao dismissed US threats of military intervention in Venezuela as "premature" and said it "wouldn't make sense." "I think they're more in the realm of rhetoric than action," Mourao said of the threats in an interview with AFP.